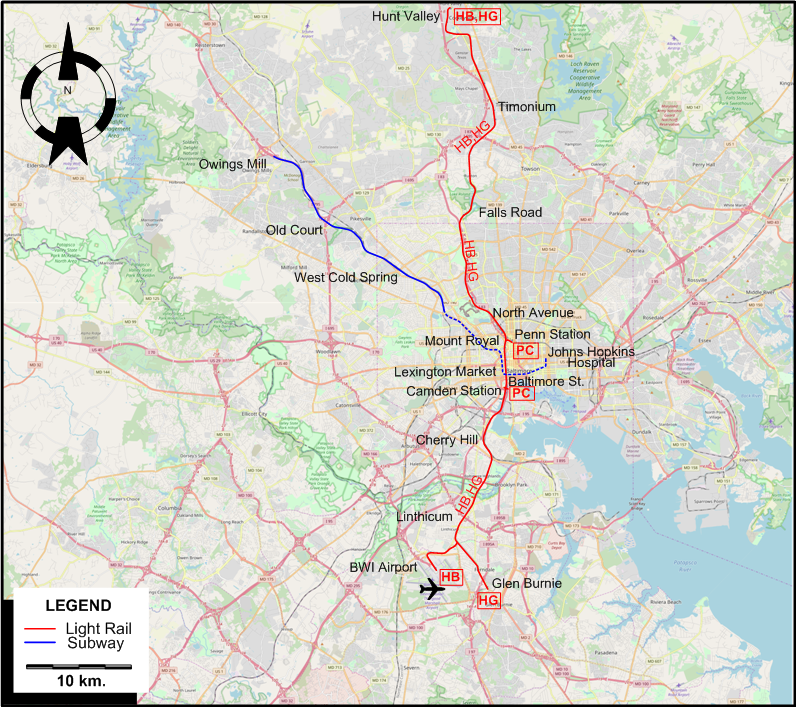 The Baltimore LRT and subway (metro) network after the extension of the light rail line to Penn Station and to BWI Airport. 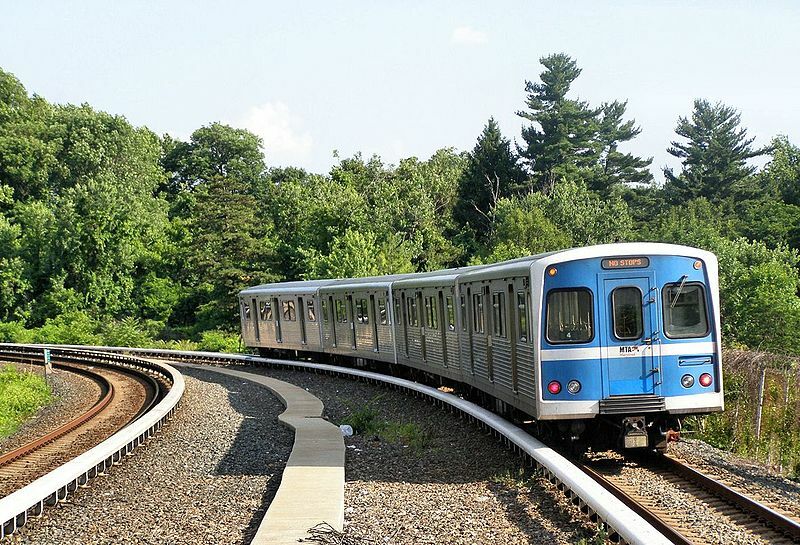 NB: The route designations HB, HG and PC are for convenience only, and are not used by the operator. Horse-drawn streetcars: 1859 - ? Electric streetcars (1st generation): 10 Aug. 1885 - Nov. 1963. Light rail (2nd generation): 2 Apr. 1992 - today. Subway: 21 Nov. 1983 - today. Streetcars (1st generation): 1638 mm. Light rail (2nd generation): 1435 mm. Demery, L.W. 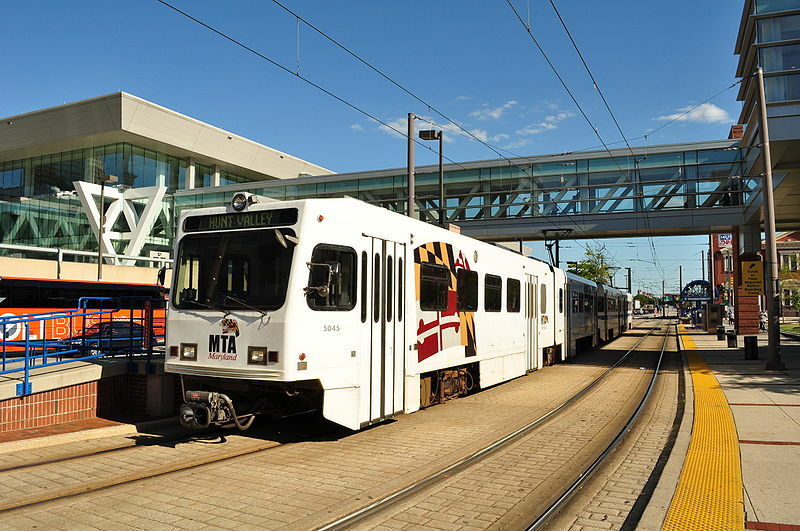 "US Transit funding - Part 5: LRT plans proliferate: Maryland", Modern Tramway and Light Rail Transit, Apr. 1990 (53: 628), p.128-130. Simons, V. "Maryland LRT - All change in Maryland", Tramways & Urban Transit, Dec. 2016 (79: 948), p.458-462.